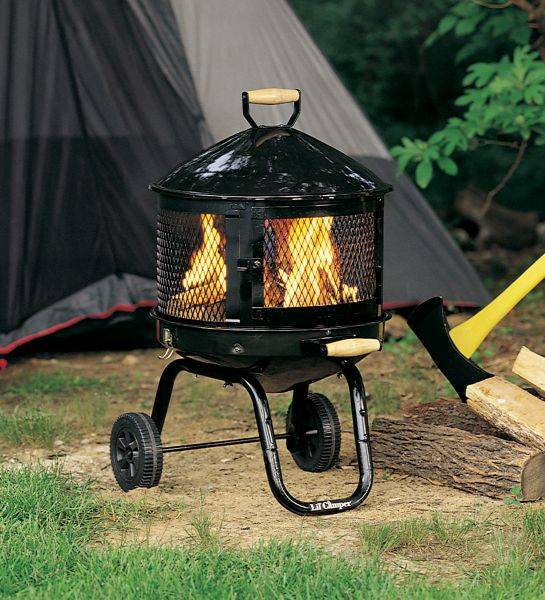 The Lil Camper is a unique portable outdoor fireplace by Arctic Products that doubles as a wood or charcoal grill. It is great for camping or Backyard parties. Cook up some burgers and warm your bones on a cool night with a Lil Camper outdoor fireplace. It's attractive, portable, easy to clean and simple to use and extinguish. High quality components make the Lil Camper impervious to the elements. 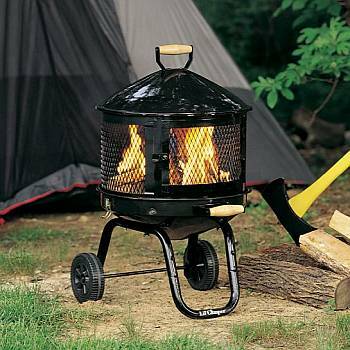 The Lil Camper will burn wood, charcoal, or pressed wood logs. Rear wheels, pull handle and sturdy tube design make it sturdy, yet easy to move. Patented one door design for easy loading. Porcelain coated enamel finish creates a slow burn for a longer lasting fire and helps prevent rust and weather damage. 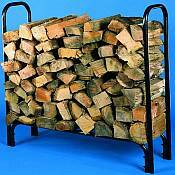 Burns wood and/or pressed wood logs. Log/charcoal grate and cooking grid included. High temperature black painted fire screens reduce flying sparks and embers as well as preventing screen burnout. Easily extinguishes by removing screen and closing the lid to smother out fire. All parts fit between interlocking lid and bowl for easy storage and transporting. Easily converts to a cooking grill with cooking grid that has 3 adjustable levels and stay cool handle.